For most people, one of the worst things that can happen to them on any given day is being fired. While some states require certain steps to be taken by an employer before they’re able to terminate an employee, other states allow employers to let go on an employee at will. 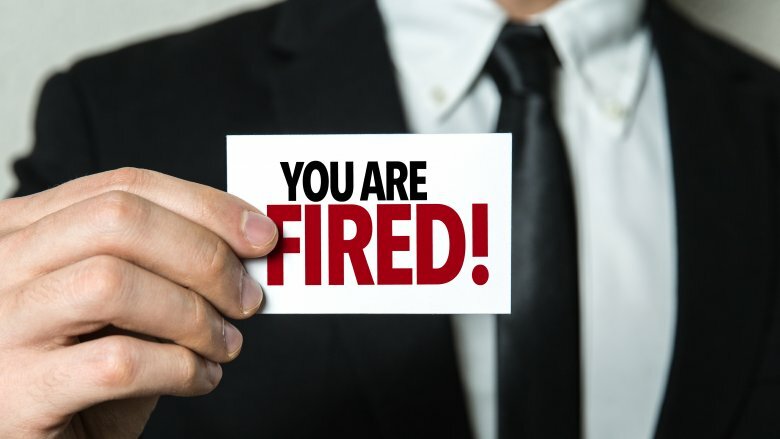 So to ensure that you’re able to keep yourself above water if and when this happens to you, here are three things you should do if you’ve just been fired from your job. As soon as you’re informed that you’re being fired from your job, there’s a lot of administrative stuff that you need to get taken care of before you do anything else. If you don’t take care of these things, you could wind up being in a far worse situation that you otherwise would have been as a result of losing your job. According to Alison Doyle, a contributor to The Balance Careers, some things you should put on your to-do list after being fired are figuring out how much compensation is due to you from your former employer, what benefits you’ll still have and for how long, figuring out who you can use as a reference and asking them about it, and filing for unemployment. Just because you’ve lost your job today doesn’t mean that all the benefits that come along with your job are going to immediately go away. Because of this, it’s a good idea for you to take advantage of any of those benefits that you can while you still have them. According to Alison Green, a contributor to U.S. News and World Report, this includes going to see your doctor or dentist while you still have medical coverage. In some instances, you might be able to retain these benefits and coverages for longer than just a month or so after you’ve been let go, so make sure you talk about this with your former employer, HR, or benefits specialist. Losing your job means losing a big form of income for you each month. Unless you also were working another job or had some other form of income, you might now have nothing going into your bank account for the foreseeable future. Because of this, Jean Chatzky, a contributor to Forbes.com, advises that you relook at your budget and trim down anywhere you can. Things likely will be tight financially until you get a new job, so try to make yourself aware of this and prepared for some lean times. If you’re just been fired from your job, consider using the tips mentioned above to help you learn which steps to take next and prepare for a new phase in your life.